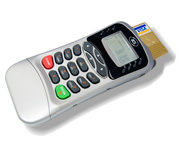 ACR88 is a versatile handheld portable smart card reader, having a built-in keypad, LCD, bi-color LED and buzzer features. It can also host the feature of non-volatile memory to give better support to your system. In addition, its onboard memory enables future firmware and application enhancements that guarantee against obsolescence. ACR88 is a line of secured electronic devices of pocket size designed primarily for multi-application. It is capable of performing secure authentication, displaying rich information from the card, conducting online or offline transaction. Also ACR88 is programmable through ACR88 ScriptBuilder. Users can now quickly build their own standalone applications according to easy-to-use and well defined script commands provided by ACS. There is no more need to program the device in lower level languages, nor to deal with development and other hardware platform dependent issues! With ACR88, you can have full rein of realizing the limitless possibilities, which your application will bring. Power PC-linked mode: automatically switch to USB bus power, always ON. L’ACR88 è un versatile lettore portatile di smart card fornito di tastiera, schermo LCD, LED bi-color e cicalino. Può ospitare una memoria non-volatile per dare un supporto migliore al vostro sistema. In aggiunta, la sua memoria consente applicazioni future del firmware e miglioramenti che garantiscono contro l'obsolescenza della tecnologia.